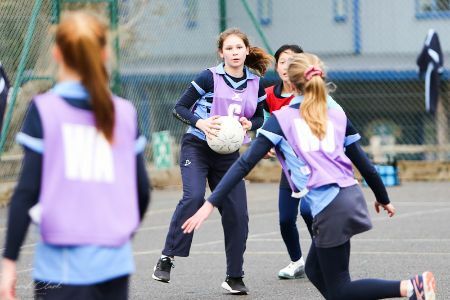 This was an extremely fitting end to a wonderful netball season and the girls’ last match for Saint Ronan’s. 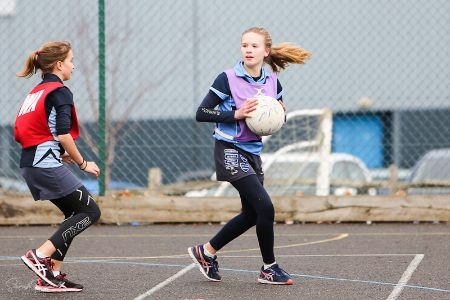 They have been such a credit to the school, so committed during training and demonstrating an excellent level of netball each week in their matches. 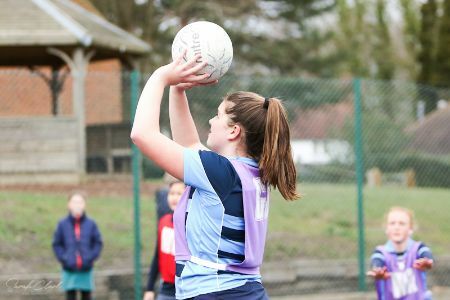 They have had a tremendous run of results, with wins against Ashdown House 27-14, MHS 13-7 and again 16-12, Claremont 15-10, Skippers Hill 17-7, SVS 12-6. They only narrowly lost to DCPS (the first game of the season) 6-7. If only there was time for a re-match! Today’s games started at quite a pace, with both teams moving and passing the ball well. 11 goals were scored in the first 10 minute quarter of end to end action: 7 to SRS and 4 to Ashdown. With a good measure of what we were up against, the ferocious pace of the game continued. 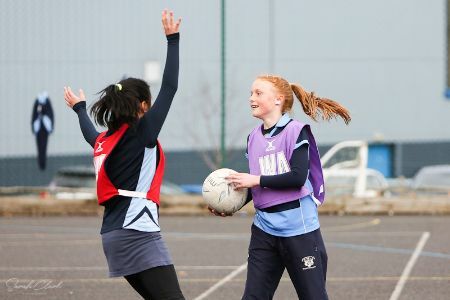 The physical agility of the girls was top notch, extending to receive or intercept the ball in space. Our performance in defence has been key to our success throughout: Ruby B could not be more committed in her position as GD, always giving 100%; Evie S has been a super GK and Hope R an energetic and reliable interceptor at WD. At the other end of the court, some tenacious play between Martha R (C), Jemima S (WA) and shooters Emily H/Bella K (GA) and Georgie A (GS) allowed us to extend our lead to 14-7 at half time. Despite the goal difference, Ashdown were very much still breathing down our necks, keen to swing the balance in their favor, given the opportunity. We had to maintain our composure and stay focused and in control of our game. 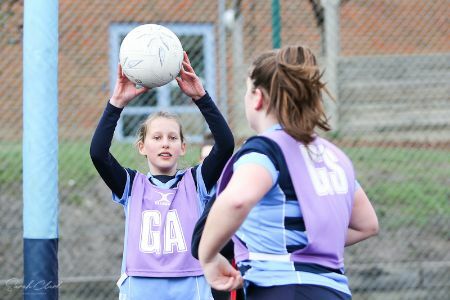 The girls could not have given any more, making very few unforced errors and Ashdown had to work hard to earn every goal. We led the 3rd quarter 21-12 and wrapped up the game 27-17. A special mention to Georgie A, whose shooting has been on top form throughout the season. Ashdown voted Jemima S Player of the Match but once again the team performance was exceptional, with everyone making a valuable contribution. An absolute pleasure to coach and umpire this team. You will be greatly missed next year. Well done.